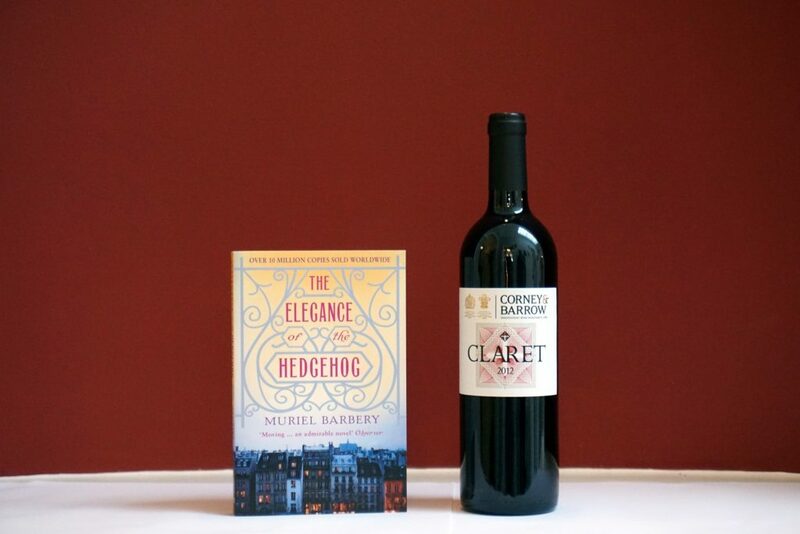 Unlike French wine, French literature doesn’t travel. You’re thinking de Maupassant and Genet and Flaubert and Collette and De Beauvoir and Nin. I’m not saying there are no good French books, far from it. I’m acknowledging French books don’t ‘cross-over’ as much as they perhaps should. Good French books very often stay in France (see also their best wines!). 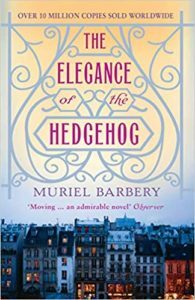 The Elegance of the Hedgehog by the novelist and philosopher Muriel Barberry is a great exception. Published in 2006, Elegance du Hérisson is one the best-selling books of all time in France and has since been translated into more than forty languages. Critics love it too. It’s hard to resist its charms. The story revolves mainly around Renée Michel and Paloma Josse, residents of a Left Bank apartment building at 7 Rue de Grenelle – one of the most elegant streets in Paris. One of the buildings you fantasise about living in when you’re there on a minibreak. Divided into eight luxurious apartments occupied by the best bourgeois families, it boasts a courtyard and private garden. Renée and Paloma could not be more different yet they share a secret -they are both far cleverer than they seem. The story alternates between them. Renée, a widow, has been the concierge for 27 years. She never went to university but reads voraciously, gulping down Tolstoy, and listens to opera and thinks deeply. She does all this in secret to avoid the attention or even condemnation of the aloof tenants. So, she conspicuously watches trashy TV and eats cheap food. She says, in her diary, “to be poor, ugly and, moreover, intelligent condemns one, in our society, to a dark and disillusioned life, a condition one ought to accept at an early age”. And yet she resists. Twelve-year-old Paloma lives up on the fifth floor with her parents and sister. She rightly thinks they’re snobs. She hides her intelligence to avoid being bullied at school. Dismayed by her pointlessly privileged people milieu, she decides life is meaningless, and determines to end the “vacuousness of bourgeois existence” by committing suicide on 16 June, her thirteenth birthday. Terrifically French. An unlikely friendship forms and I won’t reveal the ending except to say it’s very moving. Naturally, this novel pairing has to be French. And not country French either. This is all about Paris. Corney & Barrow Blanc IGP Cotes de Gascogne 2016 is a blend of Colombard and Ugni Blanc – grapes beloved of Gascony. Most people get lemon from this but for me it’s lime, almost a Sauvignon Blanc zing. There’s also a whiff of white flowers. It’s a great lunchtime wine but I fear the inhabitants of 7 Rue de Grenelle would send it back. Thinking more nobly, Corney & Barrow Cotes-du-Rhone Vignobles Gonnet 2016 would get the nod at table. Made by the Gonnet family of Châteauneuf-du-Pape, it’s perfectly poised between ripe-plum richness and bright violets (not candied). But because it plays to their snobbery I shun it. This book is about what lies beneath, about looking twice. Corney & Barrow Claret Maison Sichel 2012 is a very well-behaved claret with red cherries and brambles sitting well. It’s got an elegant finish but there’s something else, a knowing bite of dryness. It’s a wine you get even more from than you’d expect. Just like the book.